This book came to me highly recommended and I loved the summary. I have never had much patience with allegories and have not had much experience with them. I prefer to have an actual story in the book that made me reflect and think, instead of a series of well-phrased words that were directed at eliciting an inner epiphany about everything in life. With this thought in mind, I took this book up, because it came backed with a great recommendation. The cover and the summary looked promising enough and I was immediately drawn to the book because of its heavy credentials. There was one particular line in the summary that caught my attention. 'learning the vagaries of adult behaviour through a series of extraordinary encounters', or, as I would call it, a normal human day in my language when I am expected to socialise. The mark of a good bookworm is to praise the classics, often taking the safe route that everyone else had already done. It is far easier to praise the book and 'love' all the things it is supposed to mean, all those profound meanings and life lessons that one is supposed to have while reading. It makes much more sense to wait for the meaning of it all to sink in and enlighten the mind with a sudden bright light than to accept that the book didn't quite strike the chord. Because, to refuse a classic's impact would mean that the reader has not quite developed the taste yet, or worse, has not understood the deeper meaning and has perused the book only on it surface level, which is often considered a capital crime. But in some cases, there are simple instances where the reader could have read the book, understood the allegory, loved the quotes and scenarios but still not be totally, unshakeably impressed by the complete product. This book is one such. The Little Prince was written during the second World War by a war pilot whose profession and the yearning have both been infused into his work. The book is a series of allegorical words and uses the story of a little prince who comes from another planet to meet the narrator, a pilot who is stranded in the Sahara Desert. 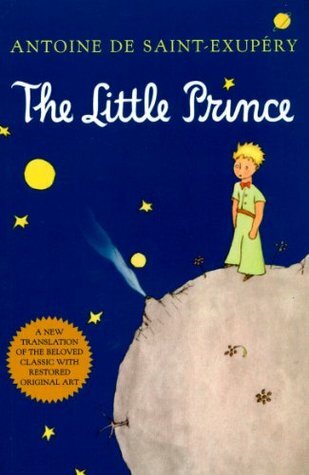 Throughout the book, the narrator talks with the little prince and hears of his fascinating encounters from other planets he has visited. He has seen a King, a vain man, a geographer, a lamplighter and other such people who give him the idea that humans are weird. The pilot befriends The Little Prince who relates all the tales. The narrator listens in awe as he tries to repair his plane so he could return home. Each tale the prince tells has a hidden lesson about human emotions and how we think simple issues as matters of consequence and forget to stop and smell the roses. Be it in the Rose, the Fox, the Snake or the three-petaled flower, every object that the prince sees teaches him something about life, something that he would reflect upon. The book was obviously meant to be something that little kids would enjoy as fantasy and older people would consider as something deep and profound, mainly because the words were so. The style would probably have worked for me if I were a bit more attuned to this genre. This book has a strange distinction of being something I loved very much in bits and felt ambivalent towards as a whole. It was not because I did not understand the underlying allegory or confused about what the Rose, Fox and Snake actually meant. But the book tested my patience because there was nothing else. It was a series of encounters, each of which had a lot of lessons to take back and ponder upon. It was a series of stereotypes so kids will understand how a Businessman or a King or a conceited person would behave. But it did not work for me because there was nothing more to it. My appreciation of this classic extends to the beautiful quotes it had, quotes I will remember for a long time to come, some of them so beautifully worded that I will remember them by heart in the twilight hours of reflection. The quotes were part of a narrative that did not hold anything else of interest for me. I understood the concept of allegories and I understood what it meant to have a base of a story to get a message across. The author's urgency in spreading the message of love and human compassion is very evident, especially seeing as the book was written during a trying time. But the more I read, and the more I loved the individual sentences and phrases, something about the whole package failed to make the cut for me. But I shall remember this book for a long time to come, in parts and as a whole because it was achingly beautiful for me, and some quotes hit right home. I will read it over and over again because some parts of it mean so much to me and were written with such profound sense that I would need to read this book when I want to reflect on something deep. The translation (as this book is) has probably captured the essence of the original in a great way because the individual words and sentences are great. But somehow, there is nothing about the book as a whole or a premise it took to explain the different situations in life excited me. This book is a great classic, and I respect the things it tried to convey. I understand the beauty of the allegory and I am fascinated about how it took me back to my childhood but this did not work for me as a whole. I will, however, read it in bits again, revisit the pages where I have highlighted some beautiful lines that I need to read when times are testing. The overall package left me wanting and this book is a curious package that made me reconsider my tastes as a bookworm. I also wondered about expectations and mental conditioning, not quite the effect I expected to get from a mere children's' book, as I should no longer call this. When you tell them [grownups] that you have made a new friend, they never ask you any questions about essential matters. They never say to you, "What does his voice sound like? What games does he love best? Does he collect butterflies?" Instead, they demand: "How old is he? How many brothers has he? How much does he weigh? How much money does his father make?" Only from these figures do they think they have learned anything about him. Accepted authority rests first of all on reason. "It is much more difficult to judge oneself than to judge others. If you succeed in judging yourself rightly, then you are indeed a man of true wisdom." "It makes it possible for me to buy more stars, if any are discovered." "When you find a diamond that belongs to nobody, it is yours. When you discover an island that belongs to nobody, it is yours. When you get an idea before any one else, you take out a patent on it: it is yours. So with me: I own the stars, because nobody else before me ever thought of owning them." It [water] was as sweet as some special festival treat. This water was indeed a different thing from ordinary nourishment. Its sweetness was born of the walk under the stars, the song of the pulley, the effort of my arms. It was good for the heart, like a present. When I was a little boy, the lights of the Christmas tree, the music of the Midnight Mass, the tenderness of smiling faces, used to make up, so, the radiance of the gifts I received. I was sad, but I told them: "I am tired." The illustrations were perfect and warmed my heart. It did not work for me as a package, as a whole book. The story could have worked in any other setting, with any other characters and that is not how I expected this praised classic to be. The book did not live up to the expectations I had of it, despite giving me something to ponder about and take back. Devi is unemployed and unmarried, with more secrets than she knows what to do with. She knows she will never live up to the example her elder sister has set as not only a traditional Indian wife but also a successful businesswoman. Having lost both her job and a baby, Devi views her life as a failure. With nothing left to lose, she tries to take her own life. Fate, however, has different plans for her. Devi’s mother Saroj stops by Devi’s apartment and lets herself in with her spare key, thinking Devi is at work…only to find her daughter lying unconscious in the bathtub. Devi is devastated to discover her life has been saved - not only can she add suicide to her list of failings, but she isn’t sure what she’s been saved for. Forced to move back in with her parents, she stops speaking, and instead begins to express herself through cooking. Her mother, who has never cooked anything but traditional Indian food in her life, is astounded by Devi’s sudden surge of culinary interest; her wild, crazy concoctions, though far from the meals Saroj is used to preparing, draw the family back to the table again and again. As Devi’s refusal to speak continues, her family begin instead to talk to each other, about their own relationships and their own failings. 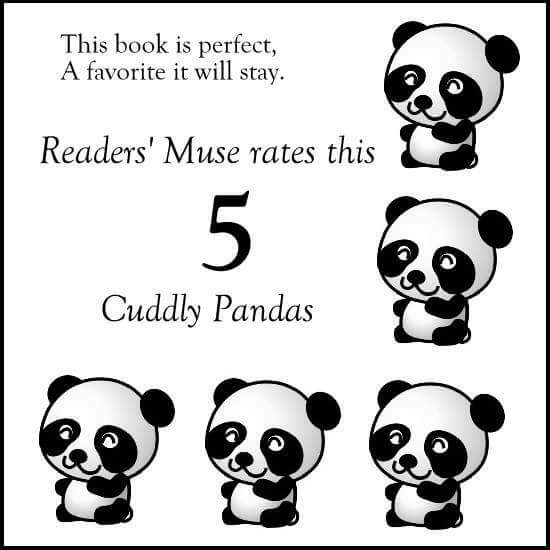 I had already read one book by the author and I loved it completely that I will recommned it to any new readers who love this genre or even want to try a decent book in IWE. 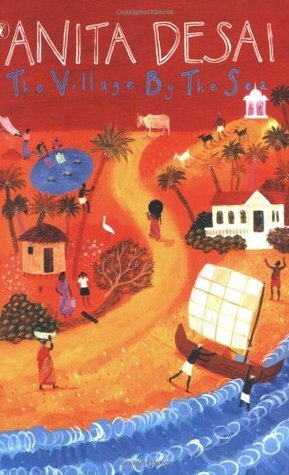 I loved the simplicity of the characters and situations in The Mango Season and the nativity it brought to the fore of my mind. So it was with a good level of expectation that I opened this book to read. I had been putting it off for some time until a request I could not ignore came my way and made me read it at a stretch. Another book I started and finished in a day. The cover and the summary are simple. But I was not really looking at them because the reading recommendation came from a fellow bookworm whose opinions I value very much. This is the kind of book that either works for you, or does not. The story is simple. It is focused on an Indian Family living in California, and how the parents went to the land of opportunities during the technical boom and the father succeeded at a start up, becoming rich when the wind blew. The protagonist of the story, Devi, is the main focus but the book also gives importance to every other character too. The book begins with Devi's attempted suicide, and how things branch out from there. The story follows the graph of Devi's life from the attempted suicide and the corresponding recovery. What happens to the future of the woman who has barely escaped death? Does life go back to normal? Does everything fall into routine? Or is that scar forever there? 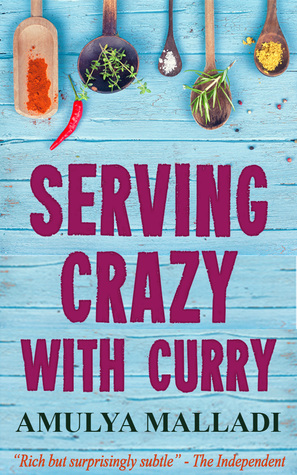 Serving Crazy with Curry is one of the most fitting titles I have ever seen for novels in recent times. The protagonist is supposed to be Devi, who faces a life changing moment after a stream of failures and decides to end her life, only to fail in that too and be saved by her mother. But every character has equal weightage in the narrative and they each hold a pivotal role, twisting the tale in different directions so much that the reader is kept glued, fascinated by the play of emotions between each of the characters and how different they are with different people. The Veturi household is the perfect family from the outside, with a seemingly happy, successful couple having two daughters, one married to the perfect gentleman and the VP of a company at a very young age and the other trying to make it big in start-ups. There is the elderly grandmother, a military doctor who completes the picture of perfection. To anyone interested in psychology, this book would be a treat to read, mainly to understand what drove the pampered daughter to suicide and how she recovered (or otherwise) from it. The book worked for me in many ways because of its lucid writing, and also because it was a deeply moving book once I applied some thought to it. It managed to convey the heavier emotions amidst lighthearted family banter and showed the different facets of people and how they reacted under pressure and otherwise. The narrative brought home a lot of points and was, in some ways, very relatable. It showed the power of a family support system and how certain values and prejudices never leave people based on where they were originally from. All the emotions were bittersweet, the relationships on tenterhooks and the characters are always hiding in depth emotions while managing to keep it together on the surface. The book posed as many questions as it answered initially and by the time it ended, I had actually answered most of the questions myself. There were many interesting instances for me to ponder about. Why did the outwardly very successful Shoba resent Devi for having the courage to think about suicide? What moved the resolute and strong grandmother to tears? What had driven the wedge between the different married couples in the story? Do they burn the bridge or reconstruct it? Are all marriages happy? Do people survive in unhappy marriages to seem like they have the perfect life? The story answered all this and more, giving me one twist after the other (most of them predictable but exceedingly well placed). The beauty of the twists in the novel is that they were placed in the right places, revealed via very insignificant events that have catastrophic consequences. The book kept me glued to my seat and until I kept turning the pages back even after I'd finished. I specially loved the author's convo with her characters that answered the few questions I had left. Serving Crazy with Curry is relatable because no one is a hero. Be it the strong grandmother Vasu or the soft spoken father Avi, every character had their own bunch of regrets and love lost and found amidst the folds of time. The regrets and the remorse have been beautifully expressed with words that struck a chord. The characters won me over because they were relatable, and seemed like people I could come across in life. They are each spiteful, with barely sustained anger, and resentment boiling deep in their minds that they could not overcome. But over the course of the book, there are many epiphanys that change the way I viewed each character. Whether they reacted 'in character' or totally 'out of character', they were relatable because they were not 'perfect literary' heroes but were falteringly human. The story worked because it did not have the perfect 'All is well' ending that I was afraid it was going to have. The bittersweet note in the climax is how life is. No matter what happens, it goes on. For the first time in many years, I could not pick on my favorite quote or favorite character from the book despite loving it so much. Because every line made me want to think, to reflect and to analyse the vagaries that human emotions cause. The book was a treat in that sense, showing me that outward appearances and inner personalities don't match, ever, and even that is okay to an extent. Overall, the language is simple, and the vernacular terms easy to understand, though I prefer a glossary had been added in the end for those who cannot quite get it. The book had its ups and downs and was not always the best. But just because it kept me hooked enough to finish in a single day, I give it special consideration. The editing could have been a bit better, tightening the slackening pace and reducing some descriptions. I could not quite sympathise with the protagonist but because every character made an impression in their way, this need not even be mentioned. Serving Crazy with Curry is a book I will read many times over, in parts and in whole because it has an idyllic beauty to it that has attracted me to it. The titling of each chapter that made me wonder what was coming. Special touch by the author. The placement of the twists that sustained my interest in the story even though I could guess most of them. The recipes in the story, that were not actually just recipes but also infused with emotions and thoughts. For such a good story, neither the summary nor the cover fit quite right. The story has uneven pacing and it takes some time for the reader to get into the narrative after wading through the words that seemed to go round about, like thoughts churning in a confused mind. There was a lull in the story at places where I felt absolutely no emotion towards any of the character except exasperated confusion but the book was worth it. The book shall be revisited again and again, and read afresh every time, despite its obvious flaws. Amulya Malladi is the author of six novels, including The Sound of Language and The Mango Season. Her books have been translated into several languages, including Dutch, German, Spanish, Danish, Romanian, Serbian, and Tamil. She has a bachelor’s degree in engineering and a master’s degree in journalism. When she’s not writing, she works as a marketing executive for a global medical device company. She lives in Copenhagen with her husband and two children. Connect with Amulya at www.amulyamalladi.com. HOW I GOT THIS BOOK: This book was a treasured gift from a friend. First, there were ten - a curious assortment of strangers summoned as weekend guests to a private island off the coast of Devon. Their host, an eccentric millionaire unknown to all of them, is nowhere to be found. All that the guests have in common is a wicked past they're unwilling to reveal - and a secret that will seal their fate. For each has been marked for murder. One by one they fall prey. Before the weekend is out, there will be none. And only the dead are above suspicion. This book obviously needs no introduction. Having obtained fame as one of the most renowned mystery / thriller books ever written, this book is an international favorite. I had picked this book up to read many times and have often given up due to some other commitments. I also had a vague memory of rushing through the book to the end . But the reader in me realised that I had not given the book the attention it deserved. So I decided to sit myself down and read the book this time with no distractions and definitely no other book running in parallel. Because Christie deserved by undivided attention at all times. The cover (there are many versions of the cover, but I am talking about the one I have) was simple and gave no clue as to what the story was about. The summary was short too and I had to brush up whatever I remembered about the book and its famous history as I read it. I was really eager to know the 'secret that will seal their fate'. Some books tell you why you only loved to read particular authors, no matter what the book they had written was. I was lucky I grew up with the right guidance and read my Blyton and Christie novels before I embarked on experimentation with other genres and other authors. It was, therefore a pleasant dose of excellent writing that drew me into the book again. My glowing review of the book is not to talk about the prowess of the author but rather the emotions I felt while reading the book. The book began with a long chapter 1, and I had to keep all the names and places straight. It was funny that I had gotten so used to the rapid and quick action books of modern days that this exercise took sometime. But once I had gotten into the groove of the book, there was nothing that could beat the magic that was Christie's writing. The story began with ten different people travelling to an island on request. Some of them were there on a request for employment, and some of them for vacation and some for a few other reasons. The common thing about all of them is that they are not really sure about who had invited them to the place but were very eager to know what was in the famous island that was rumoured to have been bought by many celebrities. Starting with the way Christie introduces the characters, everything about the story from then on is very descriptive and took me back to the places and times that were being talked about. Not waxing eloquently about the book's story itself, (seeing as it will be so popular), I wanted to use this space to comment on the writing. Be it in the poem that is displayed in the rooms or the bone chilling manner in which each death played out, the level of suspicion and confusion reaches a feverish pitch as more and more people succumb. Unlike the popular belief of authors these days, there was no need for flashy technology or adrenaline rushes during the narrative to keep the pages turning. Christie manages to get the brain running even without the help of all such additional aids that most modern novels depend on. As each of the ten 'guests' on the island were murdered, and the suspicion kept shifting focus like a game of 'pass the parcel', I found myself altering the climax I had envisioned in my mind many times over. I had great fun including my own 'detective inputs' and trying to solve the riddle before I came to the end. My suspicions were proven right in some cases, with some facts only strengthening the theories I had and some times I had to alter my assumptions as yet another victim fell. And this, I think, is the success of the book. Be it with the lost and found gun or with the deaths that happened too very suspiciously, or the internal thoughts of every would be victim, I finally understood why this was praised as one of her best works. I fell in love with the story despite some of its logical errors and confusions because overall it was an amazing book that kept me hooked from start to finish. The book won not only because of the interesting story line but also the questions it placed before the readers. Taking up the mantle of a provider of justice is not something that everyone can do. Justice is a very vague concept based on the perception of the individuals and books like these reveal different facets of themselves at the different ages we read them in. And right now, the book has set me wondering about who has the right to impart justice as they seem fit and how there are crimes that are unpunished by law but still have to face the required judgment in some way or the other. The legal aspects of this apart, the moral right anyone seems to take upon themselves to impart the justice leaves a lot for analysis. The language and the story line need no more glorifying comments because they were exceptional (even with my biased review, they really are). There were some parts of the book that I wished were clearer and some parts I wish had more detailing instead of the bleary descriptions that were common. 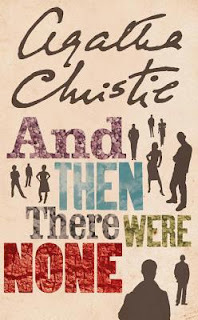 But overall, this book is special because it took me back to a childhood of memories where I spent numerous afternoons reading Christie and Doyle and deducing the answers to the mysteries before the fictional detectives did. I still am not clear of the sense of awe in which the poem was used aptly in the book, so much so that its last line became the modified title of subsequent reprints of the book that was once called 'Ten Little Niggers'. The book took me back to my childhood memories and for that I am very grateful. Mainly because the climax is known, there is no sympathy for the characters, and they don't grow on the readers like they should. The fact that there were virtually no clues and the fact that everyone was eventually going to die might be a dampener for some readers. The book is right up there with the best of suspense novels. I loved it and felt it lived up to the hype. Dame Agatha Mary Clarissa Christie was a very popular bestselling English novelist, playwright and short story writer. She is widely known for her crime novels. She has also written 6 romance novels under the name of Mary Westmacott. She was married to Archibald Christie, with whom she had a daughter Rosalind. After a divorce, she married Max Mallowan. Apart from this book, Agatha Christie has also authored The ABC Murders, The Mysterious Affair at Styles and The Murder on the Orient Express. HOW I GOT THIS BOOK: A special gift from a special friend, memorable for many reasons, but mostly as the first of many book gifts. The attached note makes this invaluable. A book with personal significance! Forgotten by the evolution of the centuries and indifferent to the advances of the twentieth century, Thul, a tiny fishing village not far from Bombay, continues to follow those rhythms of the seasons that have always been handed down. Hari and Lila were born and raised in the village, but now their family is falling into despair: the father to alcohol while the mother is seriously ill. As for money, that there is not even enough to meet the most basic needs between. The book has been in my TBR pile for nearly two years now. I did not know about this before I got this book as a very thoughtful gift. But the moment I saw the cover, I fell in love with it. Yes, I did judge a book by the cover, guilty as charged. But as I read the summary, a late 1980s, 1990s feeling crept over me. I was transported back in time to the books and movies that spoke of families, of hope and love, a deep familial bond. This was before I knew the original publication date of the book. Knowing it only increased my eagerness to read. The additional interest generated was due to the glowing reviews it got from those who saw this book displayed proudly on my bookshelf. I do not have any idea how I went two years without reading it. But with the right type of prodding, I took the book up again and boy, am I glad I did it. This is the kind of soul nourishment I needed at this moment. It is incredibly hard to write a book about such deep topics as poverty and the hope of life, especially with children as main characters. Village By The Sea is an amazing read for many reasons, but mainly for the perfect blend of description and narrative that it manages to be. The subject matter itself is quite normal. A small family of six lives in a little village called Thul a few kilometers from Bombay. Lila and Hari are aged 13 and 12 respectively but the burden of looking after the household is placed on their tender shoulders because their father is a drunkard and their mother is seriously ill. Their fortunes might turn when there is a huge factory being built in the village. But things take a different turn and soon, the frustrated Hari decides to seek his fortune in the city of Bombay to lift his family up from poverty. Lila is left to fend for the ill mother and manage despite the drunkard father who frequents the toddy shop every night and spends the little money he manages to get his hands on. In Bombay, Hari meets the people who will change his life and give him the hope. The perfect portrayal of Bombay as the city of dreams and how it has all sorts of people in its folds is one of the strongest parts of the novel. As the son of the family, Hari wants to make his fortune in this city and runs away in search of the DeSilvas who have come to Thul. But despite that he meets certain kind-hearted people there who show him that Bombay is a welcoming city where hope runs side by side with hard work. Hari meets Jagu, the man who takes pity on his and is the reason he eats his first full meal in Bombay and befriends Mr. Panwallah, a watchmaker who shows him the tricks of repairing the machines that show time. Hari realises that he has to go back to his house where his family will be suffering in their state. His sisters had been looking after their mother with the help of the kind DeSilvas and this affects their father in a positive way. What happens after this is the climax of the story. The book begins incredibly slowly, the excitement does not seep in until after the halfway mark, when Bombay comes into picture and changes things. The narrative though, is very vivid. Desai makes it so beautiful that we can smell the salty tang in the air, feel the sea breeze on our faces, and also feel the pain of the hunger and poverty and the hope and dispair of a little family in the village. Desai brings the scene alive in our minds and engages us with little responsible Lila who wears her special pink saree to the village market and of small determind Hari who wants to go to Bombay so his family will have good lives. It is this speciality of the author that makes the book work for me. I have read many books that were claimed literary masterpieces but I feel this book is better than some of them. While the descriptive narrative is a huge plus, the story needs the reader to be engaged. The pace is uneven and picks up only at the second half. I loved the language and the writing style but had a few places in the story where I felt it could have been written better. The ordinary story line is made extraordinary by a captivating narrative but sans that, the story and the climax left the reader in me wanting more. There was a hurried 'happily ever after' closure for the main protagonists but the focus dims when others are concerned. The story had a lot it could do, especially considering where it started. There are some unanswered questions left at the end of the book that would break the full rating this book would otherwise get. The ending seemed tailor made for perfection and was not exactly to my liking, though it left a sweet aftertaste. Village By The Sea is the perfect book for the lazy afternoons. It is a unique blend of descriptions and a good story of hope, despair, poverty and how life can change with the simplest of things. The narrative was believable because none of the changes were really drastic or magical but it left the reader with a positive feeling. The story shall remain etched for long in my mind because of the way it connected. I will give it a near perfect rating despite the flaws I have pointed out because ultimately it won my heart in the poignant way it brought to life a little village called Thul, much like how Malgudi once captured my heart. There is no comparison between the geniuses of both but Desai's characters Lila, Hari, Bela, Kamal, Mr. Panwallah are similar to people I have met in life, who seem like people I know personally because her words brought them to life. And for that, she receives my wholehearted applause. The narrative worked perfectly for me. Brilliance. The characters, especially those from Bombay are multidimensional and very relatable. The feelings of hope and love are the novel's strong points. And reasons why the novel will remain special for me. The ending left a lot to be desired, despite bringing a form of closure in its own way. The book had a lot of potential to branch out into descriptions but narrowed its focus on only one family, leaving many questions unanswered. A book I will treasure forever, and one I will read again and quote from. Anita Desai was born in 1937. Her published works include adult novels, children's books and short stories. She is a member of the Advisory Board for English of the National Academy of Letters in Delhi and a Fellow of the Royal Society of Literature in London. Anita Mazumdar Desai is an Indian novelist and Emeritus John E. Burchard Professor of Humanities at the Massachusetts Institute of Technology. She has been shortlisted for the Booker prize three times. Her daughter, the author Kiran Desai, is the winner of the 2006 Booker prize. HOW I GOT THIS BOOK: A treasured gift from a friend. J.K. Rowling, one of the world's most inspiring writers, shares her wisdom and advice in this artfully illustrated book. In 2008, J.K. Rowling delivered a deeply affecting commencement speech at Harvard University. 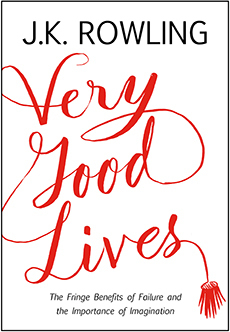 Now published for the first time in book form, Very Good Lives offers J.K. Rowling's words of wisdom for anyone at a turning point in life, asking the profound and provocative questions: How can we embrace failure? And how can we use our imagination to better both ourselves and others? Drawing from stories of her own post-graduate years, the world-famous author addresses some of life's most important issues with acuity and emotional force. I have always been a fan of the Harry Potter series. To say it defined a huge part of my childhood is not an exaggeration. 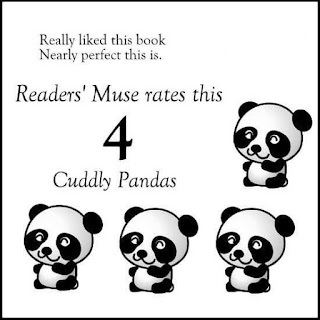 I have, however, not liked the author's other books very much. Especially those that did not belong to the Harry Potter world. I have found the Harry Potter series to be inspiring, giving me life lessons to use in many instances. More than the story itself, the words from JKR were so profound and moving that I remember quotes from the books verbatim. She is affectionately hailed as the queen of writing because of her beautiful writing style and inspiring personal life story that is the typical rags-to-riches tale. My admiration of the woman extends towards both her words and her personal story, at least the part of which is known to the general public. Which was why I was very eager to read this speech of hers. This book has been in my TBR for a long time now and I finally got to read it thanks to my fellow bookworm, Vinay Leo R.
Very Good Lives - easily one of the shortest books I have read. I finished it at a stretch, in under half an hour and I was still moved by a lot of words in it, that seemed to go deep into my heart and settle there. The book is very short but worth its weight in gold if you are ready to read and listen to inspiring words. The transcript of her famous speech to Harvard graduates speaks not only of her success but also of her path to it. JK Rowling as a person has achieved phenomenal success in the profession she has chosen, enough to be a role model who inspired a generation. But her path to this success has been one of failure and abject sorrow, as she is not ashamed to say out loud. Her success stories are inspiring because they are built on a series of failures. In this speech, she highlights all that and proves to the audience that the worst of lives can sometimes turn the best of them with enough perseverance and hard work. The speech itself is short, pretty much the only complaint I have about it. But other than that it is peppered with words that can be noted and taken back as life lessons. It is disarmingly honest, clearly articulated and definitely captivating. Even for those who do not know her writing style or have not read her other works, the book will be an interesting read for two reasons - for the content that gives an insight into her struggles and mindset and for the wit and humour she interlaces her words with. Anyone who follows the author in the digital world will see instances of her wit in every issue that calls for international attention and the beautiful camaraderie she shares with her fans across the world. The books is a must read for those people who like to read speeches by famous personalities. It is also a must read for JKR's fans. I would recommend the book even for those who are neither but would still love to read a book which is inspiring and thought provoking. A very relevant quote on the mindset of parents. Especially those who force their children into careers that make money instead of those they are passionate about. [My parents thought]...my overactive imagination was an amusing personal quirk that would never pay a mortgage or secure a pension. I know that the irony strikes with the force of a cartoon anvil now. There is an expiration date on blaming your parents for steering you in the wrong direction; the moment you are old enough to take the wheel, responsibility lies with you. Ultimately we all have to decide for ourselves what constitutes failure, but the world is quite eager to give you a set of criteria, if you let it. Had I really succeeded at any- thing else, I might never have found the determination to succeed in the one arena where I believed I truly belonged. [One's]... personal happiness lies in knowing that life is not a checklist of acquisition or achievement. [Imagination] is the power that enables us to empathize with humans whose experiences we have never shared. Choosing to live in narrow spaces leads to a form of mental agoraphobia, and that brings its own terrors. I think the willfully unimaginative see more monsters. The quotes I will take back from the book, as is usual with her. The pricing seems more like a marketing on the brand name that is JKR rather than the content. Would be a major complaint if not for the cause for which the proceeds go to. Valued more as a collector's material rather than an individual text - the book should reach more people who are not her fans. Must read for those who love the author and her words. Definitely a great read for others too, inspiring and very witty as is her usual style. HOW I GOT THIS BOOK: This book is a treasured gift from Vinay Leo R, the author of two pieces from this anthology. Life, a supernova of emotions, a multi-coloured extravaganza and a celebration of colours that carve a way for us to be "expressive". These colours often vary from situation to situation. They may be vibrant, bright and attractive, or even bland and gloomy. Nevertheless, they invoke the soul from within and portray the various dimensions of life. Come and explore the various shades of life - from the lighter tones of friendship and love to the murkier hues of revenge and murder - of human beings, of how their personalities and their situations mould them into their real selves - in this anthology of prose and verse, from authors across the world, The Love For Colors. I had already read the first set of stories (Shades of Life) and have reviewed it recently. So I had a little idea of what to expect in this anthology. The stories were selected from a nationwide competition. The theme was, like the last time, based on colors. 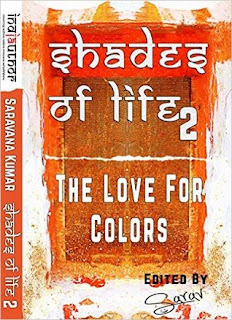 Shades of Life 2 (The Love for Colors) looked promising. When the book gift arrived from my good friend (one of the contributing authors), I was so excited to begin reading the book. I wanted the new book to match the charm of the earlier one and retain the element of variety. The highlight of Shades of Life had been the rich variety in the stories and poems and I was sure this new book would not disappoint in that regard. Anthologies are always tricky pieces of work, to collate, edit and to review. Novels are easier to write and edit because the thought flow is singular and it is easy to get into the groove of the story once it holds the interest of the reader. It is much harder for anthologies, especially those that follow a particular theme. In addition to enthralling the readers within a few words or sentences, the stories must also convey a message, follow the theme and have a purpose without giving unnecessary details or omitting essential information. This is one of the reasons why I have good respect for any anthology that is reasonably well turned out. Behind the screens, I see the work of multiple authors, often having widely different styles but still managing to hold a common element of similarity to be a part of a common work and of editors who had to carefully pick and collate many individual stories based on various criteria. And in this way, 'Shades of Life 2, The Love for Colors' impressed me. The first thing I will mention about the book is the considerably reduced length when compared to the previous book. This was a very positive point in my opinion because it made it easier for me to focus on the individual stories and poems, each of which seemed carefully chosen. By effectively eliminating the one major complaint I had with the previous book, The Love for Colors had automatically earned an extra point from me. I read this book in two short stretches. It held my interest thoroughly. The stories were quick, meaningful and clear cut. The one major positive factor is the organisation of the book. The poems and the short stories were organised as per shades of colors and this made it easier to relate to the stories. Only some pieces of work really stood out, though. Language was, yet again, a major hindrance. There were noticeable typos and certain grammatical errors that could not be looked past. Some stories also lacked the emphasis and did not have a lasting impression in my mind as a reader. The stories could have really done better with tighter editing. Each of the stories and poems have an appeal (read with or without the theme in mind) and the content is good. I personally loved the stories and poems under the White and Pink collections. Overall, the anthology is an interesting collection and a must have for lovers of variety. The book was neatly divided into colors and most stories followed the theme. The book still contained a lot of mistakes. Could have done better with tighter editing. Some stories were not strictly adhering to the theme. The theme seemed forced into some of them. The cover was not very impressive. Unlike the previous edition, this focused only on two major shades. A different anthology - lovers of poetry and short stories will want for their collection. Multiple authors, information can be had from Goodreads. HOW I GOT THIS BOOK: I thank my friend JB for sharing this book with me. Christmas is approaching, and Lena Markham finds herself penniless, friendless, and nearly hopeless. She is trying to restart her life after false accusations landed her in prison, but job opportunities are practically nonexistent. When a secondhand red coat unexpectedly lands her a job as Mrs. Santa at a department store, Lena finally thinks her luck is changing. But can she keep her past a secret? This tender story about fresh starts will charm readers as all of Melody Carlson's Christmas offerings do. 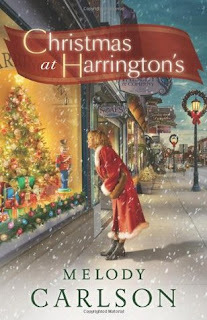 Full of redemption and true holiday spirit, Christmas at Harrington's will be readers' newest Christmas tradition. This review is for a personal reading copy after a long time. I have been so engrossed in reading review copies that I wanted a quick change in tracks. Reading this book was not a planned choice. I just happened upon this book, a gift from my good friend, and I browsed through the first few pages. Before long I had begun reading it and I finished it in one go. I was not really focused on the genre or the summary. The only thing that attracted me to this book from the collection was the cover and the title. I don't have much patience for religious fiction, but I had no idea this book belonged to the genre when I began reading. Christmas based books generally have a happy theme, or at least describe a season of believing in miracles and bringing out the good in people. This book was similar. It started off in suspense, where the protagonist Lena Markham has just been released from Prison. With less than a month to go for Christmas, she finds herself in a new town. A mild shroud of mystery covers her. The readers are made to understand that she had been imprisoned for a crime she did not commit. On her way into town, she meets a kindly old lady who talks to her, befriends her and invites her over to her house. Naturally wary, Lena feels apprehensive about everything in the new place. She tries to settle in the new town, but finds it difficult with her prison record and swiftly dwindling cash stock. She finds the cheapest available accommodation where she meets people who will bring about a change in her life. 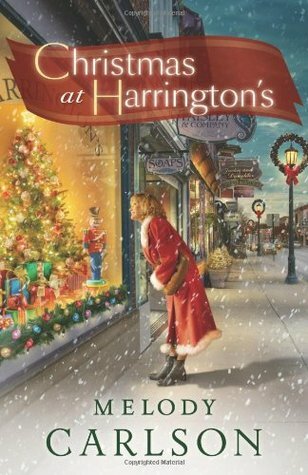 A chance with a second-hand red coat lands her a job as a Santa for a departmental store. But her past catches up quickly despite her moving cities, and all of a sudden her concealed truths come out to haunt her and she is a marked woman in the little town. If or how she comes out of this forms the rest of the story. The story itself was not much. It just held simple messages and stayed true to the theme. There are a few critical flaws in the narrative that would be obvious but overall, the story effectively manages to have a feel good factor. The book works mainly due to the careful build up of suspense on Lena's part and the way her actual caring, helping nature is curbed because of her bitter experience. Most of the men in this story are portrayed in a dull light, often considered evil in some regard. Be it Lena's scheming husband, or abusive domineering father, the background is laid pretty thick for Lena to be wary of anything to do with men. Kids are given prominence, and are a crucial part of the story, including being the reasons Lena gets a job and manages to keep it. I loved the book for its language and theme. It left a lot to be desired and had a few logic loopholes in writing but the overall effect was pleasant, realistic and a teensy bit prompting towards the readers believing in the power of Christmas Miracles. If you are a naturally religious person, this book might leave you with a warm feeling but for others, this can bring about a christmassy feel. The logical loopholes could be avoided. The lack of backstories is a serious drawback. Christmassy book, but not too preachy. It is more focused on making the people feel good about miracles.